Information Pack International Trade Imports and Exports .This information pack has been compiled for ease of reference for new importers and the courier trade using the Low Value Bulked Import Approvals. The education contained within should cover queries and contact points for at least the first 12 months of initial business, by which point, new businesses will have established their own points of information. All imported goods are potentially liableto import duties, i.e. duty and Import VAT. When importing into the <?xml:namespace prefix="st1">UK orEU, a customs declaration is needed, whether the import is made for personal orbusiness reasons. 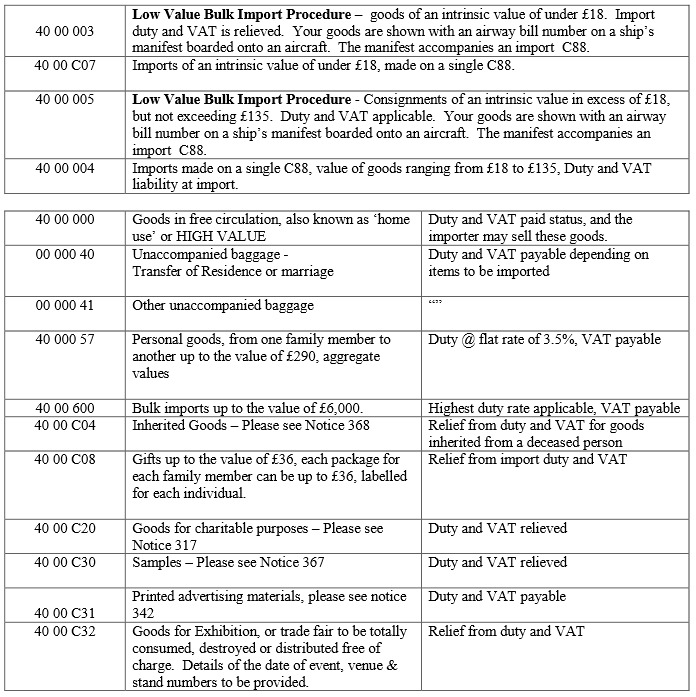 Details of liabilityare shown in Section 5. Article 203 of Council Regulation 2913/92stipulates the incurrence of a customs debt when making an import from a thirdcountry into the EU, import duty and VAT is payable upon the goods entering theEC. The form used to make a customs declarationis called a C88, also known as a ‘customs entry’. To make this declaration, an importernormally employs a freight forwarder, or courier to make a customs declarationon their behalf. It is important that thedeclaration made is as true and accurate as can be, as import duty and VAT isapplied upon imports. The customs declaration, normally madeusing form C88 should be lodged in accordance with Articles 62 & 77 ofCouncil Regulation 2913/92 and Article 199 of Commission Regulation 2454/93.The computer system CHIEF is used to declare this form on your behalf. Under Article 199 (1) the lodging of adeclaration signed by the declarant or his representative shall render himresponsible for the accuracy of the information contained in the declaration. The C88 declaration can only be completedif the importer gives the information to be contained on the form .Thissometimes happens by telephone, e­mail or by formal instructions. There areboxes with titles, it is important that you understand the contents of the C88form. The Integrated Tariff of the United Kingdom, also known as ‘thetariff’ gives information on imports and exports. Notes for C88 completion canbe found in Volume 1. Freight forwarders/agents have a copy of the tariff whichthey use when making declarations. Importers should discuss the contents oftheir C88 declarations with their forwarders. i. Commodity codes are 8 or 10 digit codes, input into box 33 of the C88 import declaration to describe the goods being imported. Use of this code gives rise to the duty rate, and VAT paid. ii. Classification Team­ our colleagues in our Southend office canbe telephoned on 01702 366077. The trade is able to request free advice on 3commodity codes per telephone call. iii. Also, to obtain a legally binding ruling– a Binding Tariff Agreement can be issued. Please ask Classification service about this if you require this for your business. v. The duty payable can be reduced by using a Generalised System of Preference (GSP) Certificate, please request further information from Classification Service, your supplier and your freight forwarder. These are 7 digit codes used in Box 37 of the C88 to show the reason for import. 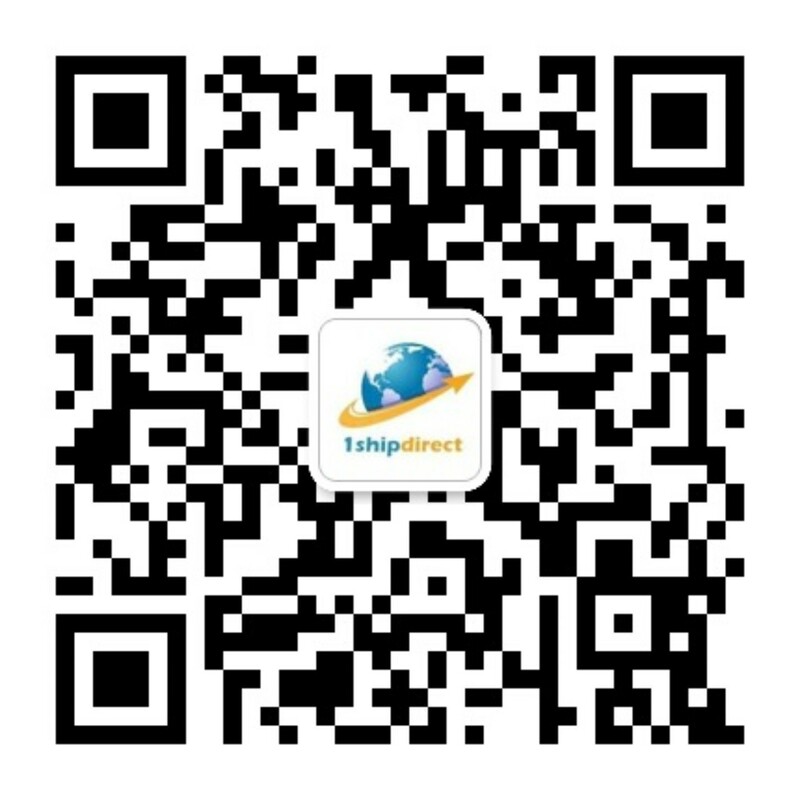 Please identify the correct code to be used for your import from your courier/freight forwarder. Written instructions should be given to your courier to avoid unnecessary error. Where anomalies are identified at verification or audit, the correct codes may be established in order to bring import duties to account. Please refer to Appendix A for a list of frequently used CPCs. When imports arrive in the UK, and anypotential duties are paid, CPCs 40 00 000 is used to signify their duty paidstatus in box 37.Consignments with this status are termed as ‘free circulation’goods. The importer may use these goods asthey wish – for retail or personal use. This is an electronic system of importingwhich accelerates the release of imported goods from the ports. It is onlyavailable to traders who make large numbers of importations. Freight forwardersmay be authorised to use CFSP. Please contact your freight forwarder/agent forfurther details. The Low Value Bulked Imports (LVBI) procedure requires an approval to be held by the courier / freight forwarder. There are four CPCs which cover this regime. Shown below are the two codes used for imports into Europe. The legal basis is in accordance with Volume 3, para 3.13b, in the HMRC tariff, Article 27of EC Regulation 918/83 as amended by Council Regulation (EEC) No 3357/91 states that the value of such goods to be imported as consignments of negligible value means that the intrinsic value of these goods do not exceed a total of 22 ECU per consignment., approx. £18. In cases where courier packages/parcels areexamined by UKBA or HMRC and found to contain items of greater value ­ the truevalue will be established to bring to account the import duty and VAT which hasnot been paid as a result of the mis­declaration. Businesses, whether or not VAT registered, should not be importing their retail stock using the LVBI concession, use of this is not appropriate for wholesale imports. Exports can be made by individuals by usingthe National Export Scheme (NES). Freight forwarders and couriers normally undertake exports on behalf ofexporting individuals or businesses. When using a duty relief system, exportevidence is required to be retained to show evidence of export. b. It is a legal requirement for importers to retain these recordsfor a period of 4 years. VAT registered businesses have a further requirementfor 6 years. Consignments are cleared by UKBA staff at ports. Related queriescan be verified by HMRC staff, both for VAT and International Trade purposes upto 3 years after the import date. c. As the importer of these goods, it is your responsibility toensure that you retain all records for your business for a minimum of 4 yearsin accordance with Section 21 of the Finance Act 1994. Also, the Customs Traders (Accounts andRecords) Regulations 1995 details the keeping and preserving of records. Section23 of the Finance Act 1994 gives details on the production of documents andfurnishing information. This is necessary for the purposes of providing anaudit trail of documents showing the movement of goods, from import to re­sale onthe UKmarket.. The requirement to retain and furnishinformation & records is detailed in both Section 23 of the Finance Act1994 and Sections 3 to 5 and 9 of the Customs Traders (Accounts and Records)Regulations 1995. Failure to adhere tothese regulations may result in the application of Civil Penalties. Article 14of Council Regulation 2913/92 stipulates any person directly or indirectlyinvolved in the operations concerned for the purposes of trade in goods shallprovide the customs authorities with all the requisite documents andinformation, irrespective of the medium used, and all the requisite assistanceat their request and by any time limit prescribed. i. Direct Representation–the freight forwarder /agent acts in the name of the importer, and on behalf of the importer.Therefore, importer is the declarant and liable for any customs debt. The agentshould hold evidence to confirm that he is empowered to act as the DirectRepresentative, as stipulated in Art 5 of EC Council Regulation 2913/92.Failure to prove empowerment could render agent as an Indirect Representative. b. Role of the Accountant– A business does not have to employ an accountant.However, if you choose an accountant to carry out your tax affairs and have himdeal directly with HMRC you must complete an authorisation form “64­8”. (Thiscan be downloaded from the HMRC website). c. Duty Deferment ­ Authorised method that defers the payment of customs duties and import VAT until the middle of thefollowing month.. Security is required to cover all import duties deterred,including Import VAT (Public Notice101). 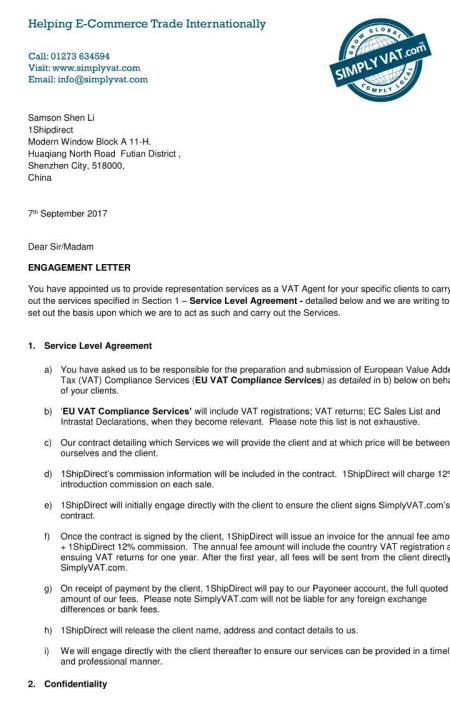 d. SIVA­ Simplified Import VAT Accounting– Holders of this approval donot have to provide the full securityfor Import VAT (Public Notice 101). e. C79’s/VAT Returns ­ The Import VAT certificate, known as the C79, is the normal evidence of payment of Import VAT forgoods imported for the purpose of yourbusiness. This certificate is normally given to the importer whose VAT noappears in box 8of the import entry (C88). Public Notice 702 (sections 2 and 8) VAT returns canbe submitted online – this will become compulsory by 2012. Notice 300 covers civil penalties. When an audit or verification takes place, your company is usually assigned an Officer for this task. The verification which takes place is for the regime/area of work being checked at that time. It does not usually encompass other taxes, unless otherwise specified. Should you have any further enquiries after the event has closed, your enquiries can be raised using the contact shown below. iv. RevenueMatters – PAYE, Tax Credits, Self Assessment, Child Benefit, National Insuranceetc. d. Business Link ­ this is gateway intoGovernment Departments, where information can be obtained for all types ofqueries.